For those who can remember, 1989 was undoubtedly the year of The Batman. The Dark Knight’s shadow loomed large, and the famed Bat Signal was emblazoned on every product imaginable. Indeed, after all the box office and merchandising receipts had been counted, the “World’s Greatest Detective” emerged victorious. However, a phenomenon of a much more lasting variety took place merely a week later. It was spurred on by an exponentially smaller, yet infinitely bolder film. That film was far more significant from a sociological standpoint. It exposed long festering wounds that hadn’t yet healed, and openly pondered one of life’s great mysteries: What is, ultimately, the right thing to do? 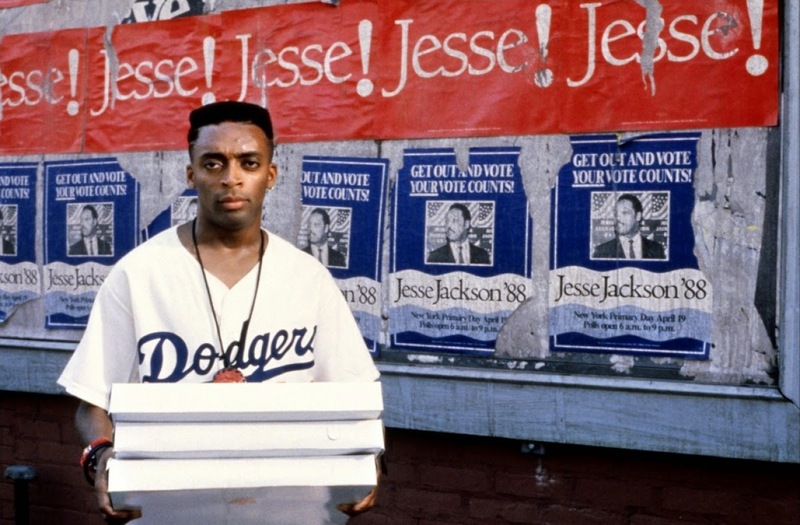 Looking back at Do the Right Thing so long after its release, it’s clear that only Shelton Jackson "Spike" Lee could have launched such a campaign. By 1989, he’d already developed a reputation as a rabble rouser. His interview soundbites were every bit as inflammatory as the content of his films. That’s no small feat when one considers the films in question. His first, She’s Gotta Have It, followed the sexual exploits of Nola Darling, a young Black woman living in New York City. Two years later, School Daze brazenly explored colorism in the frats and sororities of America’s Historically Black Colleges (The production was eventually banished from the campuses of Morehouse, Spelman, and Clark Atlanta University before filming was complete). By the close of the 1980’s, one thing was abundantly clear: If any filmmaker could make a truly honest and scathing film about American race relations, it was Mr. Lee. In retrospect, such alarmist ravings seem both silly and racist. Do the Right Thing exists to provoke thought, not to incite violence. If anything, the prognostications of the fearful went a long way in proving its central thesis: if a single film could spark an all-out race war, things were much worse than any of us cared to admit. That such a nuanced and complex film could be dismissed as a mere propaganda piece speaks volumes about the true nature of its detractors. 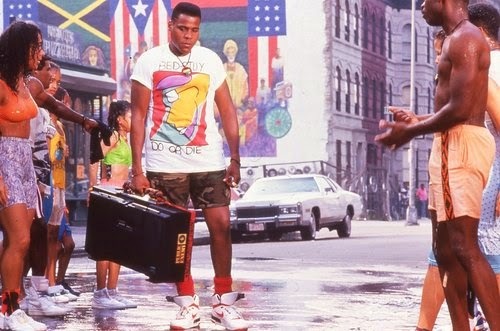 And make no mistake, Do the Right Thing is most certainly a complex work, often deceptively so. Its many characters are at once both racial caricatures and complex human beings. It views us as we view ourselves, but also has the courage to look much deeper into our very souls. Spike has never been one for easy answers or pandering. Such instincts have never served him better than they do here. 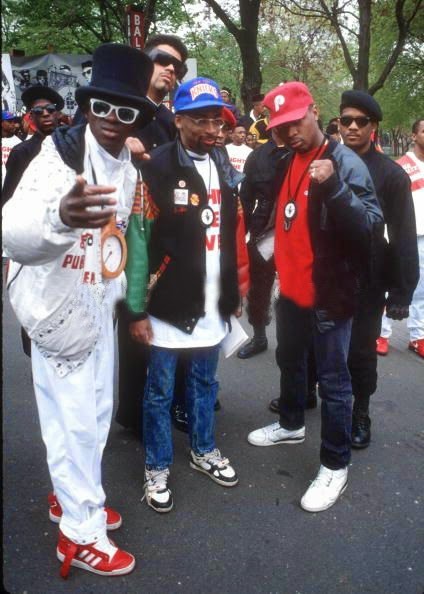 Like New York City itself, Do the Right thing is a microcosm. I once jokingly told a friend that film plays like a Bizarro World version of Sesame Street. Though I stand by that analogy, it’s by no means intended as an insult. Sesame Street remains an invaluable teaching tool for children. It uses puppetry, animation, and guest stars to help kids see the world in a different way. By contrast, Do the Right Thing shows that when our children grow up, they’ll need more than Muppets to help them navigate America’s treacherous racial landscape. The film’s complexity is perfectly embodied in its diminutive protagonist, Mookie (Played by Spike Lee himself). He is surely a flawed hero. In today’s climate of political correctness, he’d likely be seen as a shiftless, no-account “baby daddy.” His seeming irresponsibility and lack of ambition are shown to be defining character traits. Yet, he exhibits true courage and decisiveness when called upon. He regularly stands up to Pino’s (John Tutorro) overt racism. In the film’s climactic moments, he also becomes a reluctant general. While venting his own rage and confusion at the murder of his friend, he inadvertently becomes a protector to his surrogate family (Sal and his son’s) while firing the first shot in a mini-revolution. That Mookie eventually becomes an unlikely savior to Pino unlikely is fittingly ironic. Throughout the film, similarities between the two are cleverly underlined. Both are very protective of family and staunchly enforce racial/cultural boundaries. Both look on with disgust as Sal (Danny Aiello) courts Mookie’s sister, Jade. Indeed, Sal’s contentious relationship with Pino resembles his equally contentious relationship with Mookie. Moments before the climactic riot, Sal even refers to Mookie as being like a son to him. Yet, despite such similarities, Mookie exhibits a level of character and courage that ultimately escapes Pino. Where Pino shrinks in the face of adversity and physical challenges, Mookie holds his ground and navigates his way out. 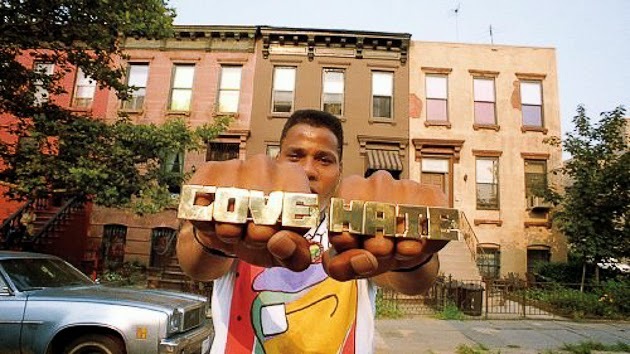 Radio Raheem’s very presence adds an air of mysticism to an otherwise ultra-realistic film. He totes around his giant radio like a talisman. His unique connection to it resembles that of Samson to his hair. The single song it constantly plays seems to cast a protective spell, creating an impenetrable bubble around him. People move out of his way and back down when challenged. Even his closest friends don’t make actual physical contact with him unless the volume is very low or the music stops. When his radio runs of out juice, he immediately replenishes the power source. He belligerently refuses to play anything other than PE, almost as if he’s afraid to. When his radio is destroyed, the protective spell is broken, and he is killed soon after. As the riot winds down, “Fight The Power” can be heard once again, as if Raheem’s ghost haunts the scene of his murder. This allows the viewer to truly ponder the meaning of Chuck’s words. The image of Martin Luther King and Malcolm X shaking hands provides a consistent visual motif which perfectly highlights the film’s central dilemma: What is the right path to take? What is the right thing to do? Such questions linger in the mind as the credits role. Do the Right Thing is a film that doesn’t allow you to forget what you have seen, nor does it allow you to ignore the thoughts and feelings that such images provoke. Today, in a supposedly post racial America, its themes remain as relevant as ever. When staring into the abyss, do we all hold hands and jump? If nothing else, Spike made us ponder that decision for a good long while, and God bless him for that. It's later finding this act. A minimum of, it's a thing to be familiar with there are such events exist.